Some salespeople have a knack for closing deals. While luck plays a part, so does skill: Savvy pros figure out how to tailor their pitch to each customer. That’s why generational selling- the art of customizing your approach to each client’s age- is a hot trend right now. Here, experts dish on our country’s four distinct generation, plus smart strategies for marketing to them. TRADITIONALISTS, aka PRE-BOOMERS (born before 1946): You may not have many senior customers. But if you sell to companies, be aware that many firms were founded by a Traditionalist. As a result, this generation’s values may still dominate the corporate culture. Touch base like this: In person. “These are people who appreciate face-to-face interaction,” says generational expert Lynne Lancaster, author of When Generations Collide (Haper Collins). If possible, arrange a meeting (if not, make a friendly call). Emphasize this: Quality. 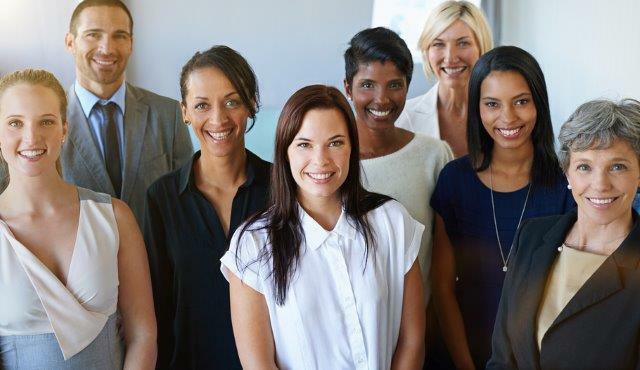 “Make sure that something is truly top of the line, and they won’t argue too much about price,” says Marilyn Moats Kennedy of Moats Kennedy Inc., a consulting firm specializing in age diversity and workplace demographics. BABY BOOMERS (born 1946-1964): Roughly 80 million strong, Boomers are often still working. Pitching them effectively is essential, since they’re frequently in leadership roles. Emphasize this: Reliability. “Boomers want assurance that you’ll do what you say,” says Moats Kennedy. If a friend hasn’t referred you to them, they’re less likely than younger people to look up what people are saying about you online. Offer guarantees and customer testimonials. To seal the deal: Speak up. “Boomers still want to hear from you when they need guidance,” Lancaster shares. Lead with technology but help them along the way: “Send them a link, then call and ask them to click on it, saying, “I want you to see this great new item,” Lancaster advises. GENERATION XERS (born 1965-1981): Numbering 60 million, they’re extremely internet savvy. If your product or service is available elsewhere, assume that this group has already found it on the web. Touch base like this: Either online or on the phone, but be prepared to make a strong case. “Be comfortable explaining why people should do business with you versus your competitors,” Lancaster explains. Emphasize this: Your product or service’s uniqueness and/or durability. “Gen Xers have no issue with buying used things otherwise,” warns Moats Kennedy. If, say, that couch you’re selling has a special ergonomic design or stain-resistant material, point it out; otherwise, your Gen X customer may head to the thrift store for a second hand sofa. MILLENNIALS (born 1982-2000): These young people, some 82 million in total, are used to finding everything they need electronically. They won’t often seek out a salesperson, leaving you to take the initiative. Touch base like this: Make technology a two-way street. “Be readily available as they check out your website.” If you’re selling to a Millennial face-to-face, politely ask “What can I do for you?”, but save the chit-chat. Emphasize this: The value proposition of your goods and services. This generation is oriented toward the bottom line. To seal the deal: Build buzz with their peers- especially by being active online, which makes you discoverable to people in this age group. “Millennials are plugged in to social media, so they go in and look at comments about you,” says Lancaster. If anyone says anything negative about your business, address and resolve the grievance quickly. Give out customized t-shirts or products are trade shows, and encourage young people to post photos of themselves wearing or using the items on Facebook or Instagram. Better still, have a photo booth where they can take fun shots. A silly promotion can yield serious benefits for your company.